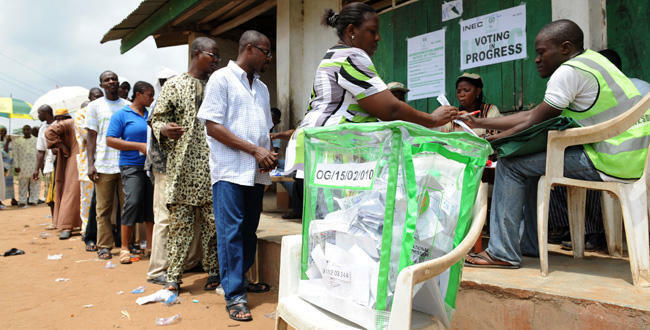 Promoting public confidence in Nigeria’s electoral process – Royal Times of Nigeria. Unarguably, conduct and management of elections involve planning and effective implementation of programmes, including the management of the public perception of such elections. Public perception in that regard will depend on how transparent and effective an election management body is with all stakeholders by providing accurate information regularly. In the case of Nigeria, the Independent National Electoral Commission (INEC) often finds itself in the eyes of the storm in each instance it is organising elections. In the light of this, in 2013, INEC formulated its communication police to have a better informed and efficiently mobilised citizenry about the electoral process. The commission says the policy will help INEC to achieve effective communication with its diverse stakeholders, meeting their specific but varied needs and objectives through different channels and with expected feedback. The targeted stakeholder include the electorate, political parties, media, civil society organisations, traditional and religious institutions, development partners, government establishments, National Assembly, judiciary, domestic and international election observers and law enforcement agencies, among others. But Alhaji Abdullahi Kaugama, INEC Resident Electoral Commissioner, Kaduna State, observed that four years after the introduction of the policy, the challenges that it was set out to address were not addressed yet. “With a new INEC Strategic Plan (2017- 2021) now in place, a review of the policy has become necessary,’’ Kaugama said. In the light of this view, the commission organised a workshop recently in Kaduna to review the policy. In the workshop, Mr Rotimi Oyekanmi, the Chief Press Secretary to INEC Chairman, said the essence of the workshop was to review the policy which he said was due after four years. He said there was a clear provision that the policy should be subjected to regular and periodic reviews not less than at least once every two years. He also said it was now time for stock-taking to determine in the real sense, if INEC had achieved the goals contained in the policy. “We need to ask ourselves, where exactly are we in terms of implementation? “If, for instance, we are to rate ourselves in percentage terms, what will our score really be; or is there anything wrong with the policy that we need to correct? “Are there certain unique aspects that were not captured in the formulation that might have affected our collective ability to implement it in full?’’ Oyekanmi asked. He added that there could be no better time to improve on the policy than now with the 2019 general elections approaching. Declaring the workshop open, INEC Chairman Mahmood Yakubu, said while the current policy had served the commission, the review had become imperative to better equip INEC to address emerging challenges ahead of the 2019 general elections. He said since 2015, significant changes had taken place in the political and electoral processes that should be taken into consideration in planning for the next general elections. “The changes include the ongoing review of the electoral legal framework, the ever changing structure and nature of political competition and prospective expansion in the number of political parties. “Also are the use of social media and its possibilities, activities such as the nationwide all-year round Continuous Voter Registration and the development of new INEC Strategic Plan of Action. “All these require the review of our communication policy to rise to the emerging challenges as we move towards the 2019 general elections. “More specifically is the need to examine the extent to which the policy has enabled the commission to effectively communicate with the public. “Next is to determine the extent to which the policy has facilitated a more robust internal communication within the commission. “And, finally, to appraise the effectiveness of a sustained stakeholder engagement between the commission and all relevant stakeholders,’’ Yakubu explained. He said the more effectively INEC communicated, the more the public appreciated its works, constraints, challenges and giant strides. In his view, Mr Kayode Idowu, the Managing Editor of the Nation Newspaper, said an organisation such as INEC needed a better communication policy to ensure coherent messaging to avoid contradictions between its messages and actions. He said: “INEC is, perhaps, the singular organisation in Nigeria with the largest number or size of internal publics – regular staff and ad hoc staff — and the widest range of external publics. “The commission’s interface with these publics is through communication and information dissemination. Idowu also noted that the core functions of INEC required that it should consistently engage with varied stakeholders and publics with clearly identified objectives. He observed that with the approach of the 2019 general elections, some state governorship and constituency bye-elections coming before then, INEC needed to consolidate public trust in its operations. Such trust, according to him, can be earned through enhanced transparency and coherence of its messages and policy measures. “One way of attaining this goal is to update and implement the Communication Policy,’’ Kayode said. Similarly, Prof. Raph Akinfeleye of Department of Mass Communication, University of Lagos, said an ideal INEC communication policy should address Nigeria’s cultural particularities and cultural peculiarities before, during and after elections. He said such policy should be based on comprehensive research analysis for planning for any type of elections as well serve as policy influencer. He also advised that the sustainable policy must address the issue of language, especially hate speeches with a section dealing with religion and religiosity. He said the experience and the damage that were caused during the 2015 general elections should compel INEC to come out with a new policy with appropriate sanction on hate speeches. In her view, Ms Mandisa Mashologu, the Country Director United Nations Development Programme (UNDP), said effective communication was critical in building stronger democracy and stakeholders’ confidence in the electoral process. Mashologu explained that free and fair electoral process was not only about the exercise of the right to vote by citizens. “It includes the dissemination of information, robust voter’s feedback on issues, policies, political parties and electoral procedures capable of empowering citizens to support the process and to make informed choices. “Effective communication helps the electoral commission to win and sustain trust. It also promotes citizen’s mobilisation for issue-based, gender-sensitive, conflict-sensitive and inclusive political processes. lethargy, speculations and distortion of information and facts,’’ Mashologu observed. Stakeholders at the workshop, therefore, hold the belief that no communication policy is of any practical value unless it is diligently implemented to meet the expectations of the public after all.